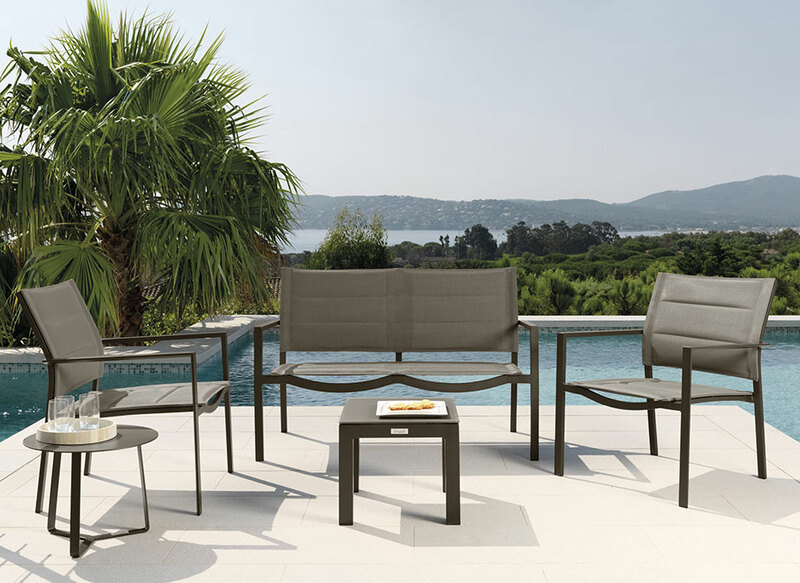 The Bridge collection wisely combines the reassuring solidity of mahogany with the lightness of a geometric braiding that give a pleasant sense of relaxing balance. 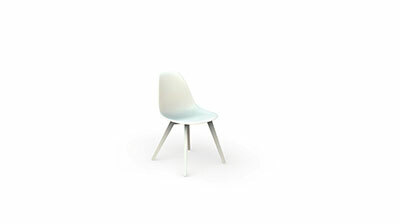 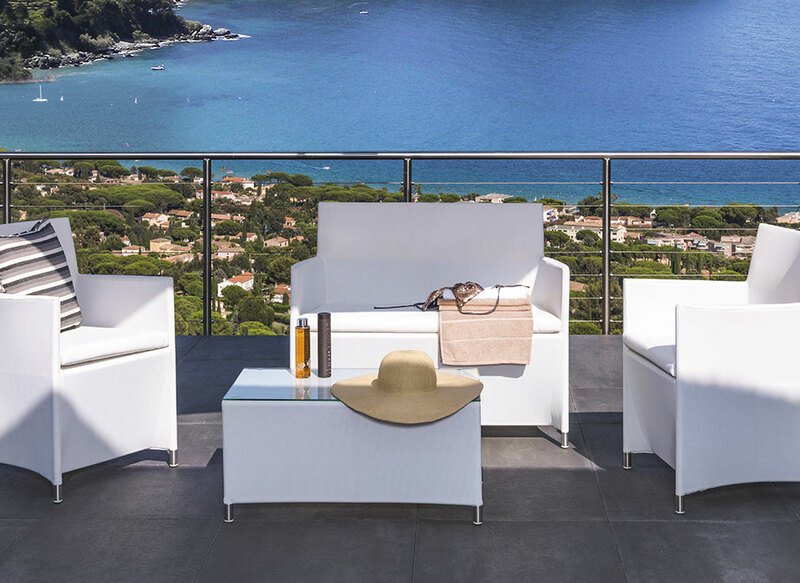 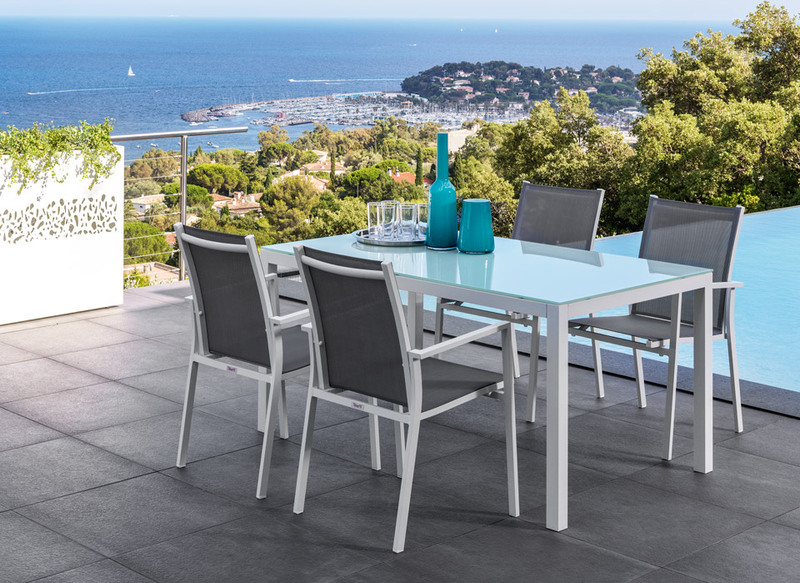 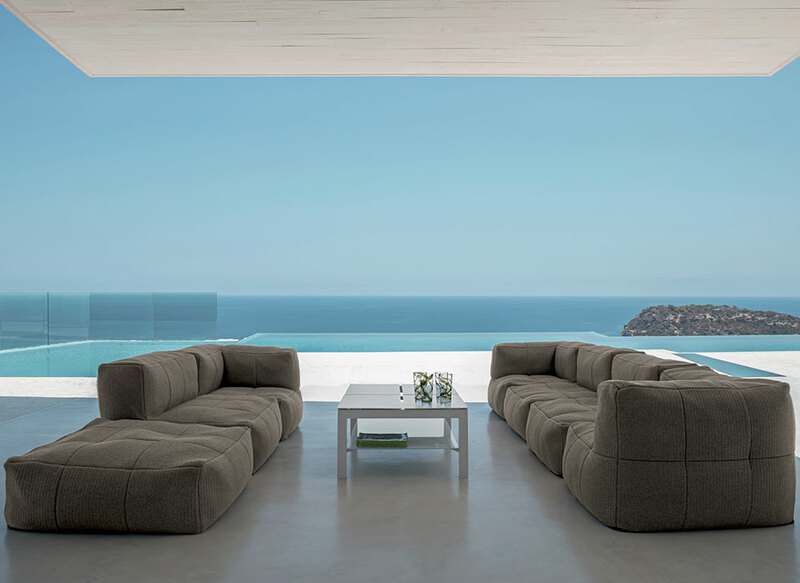 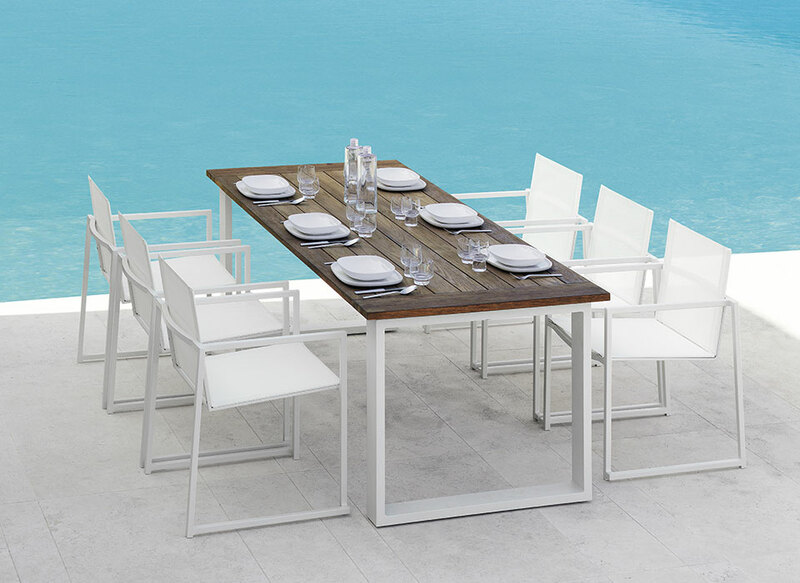 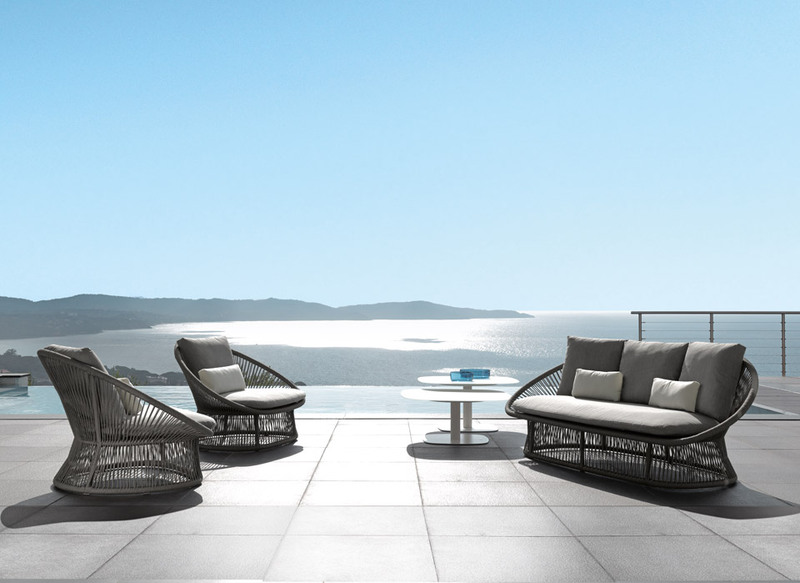 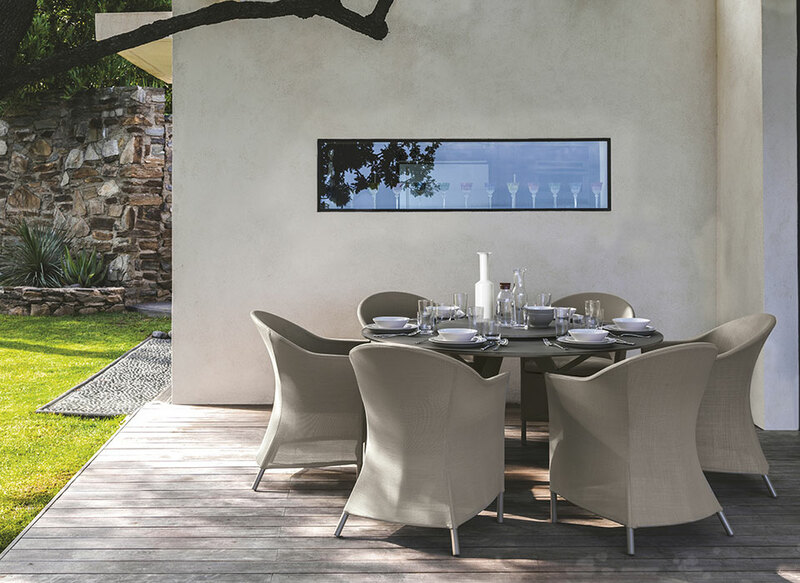 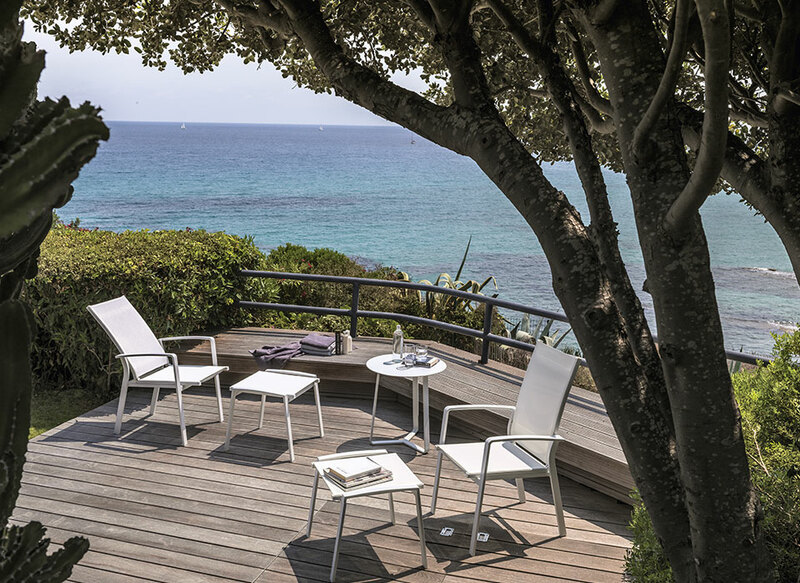 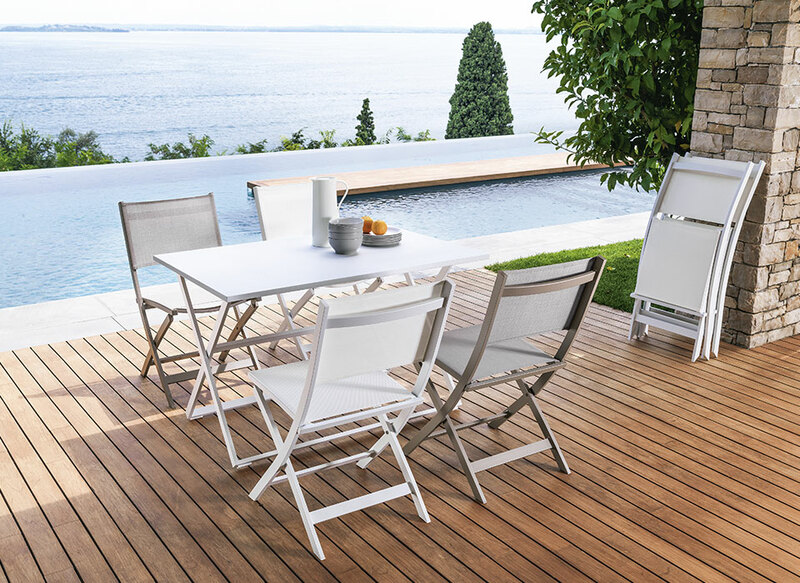 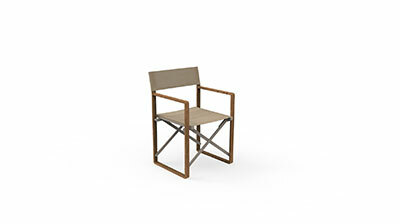 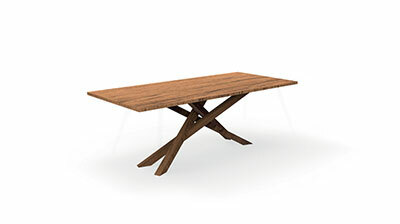 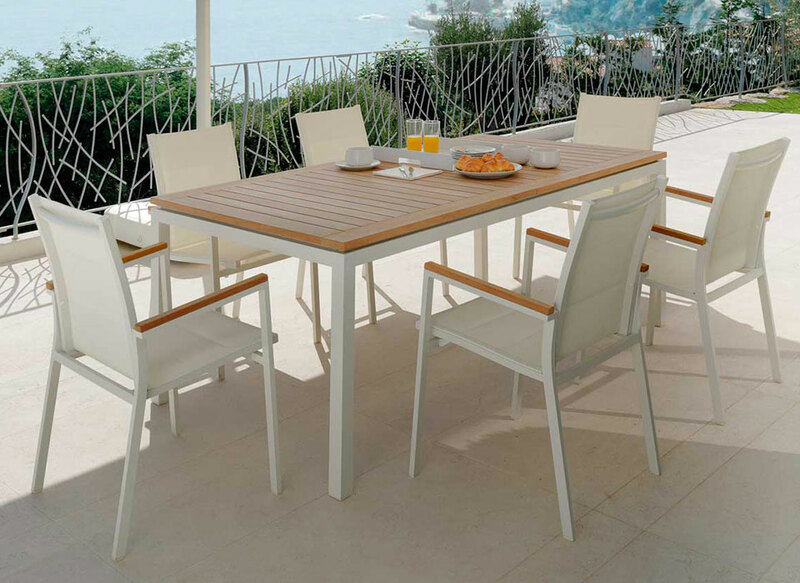 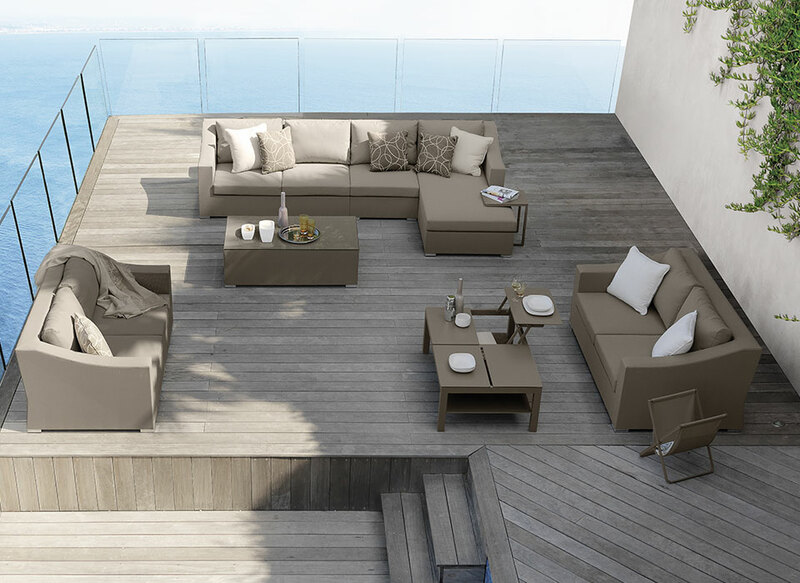 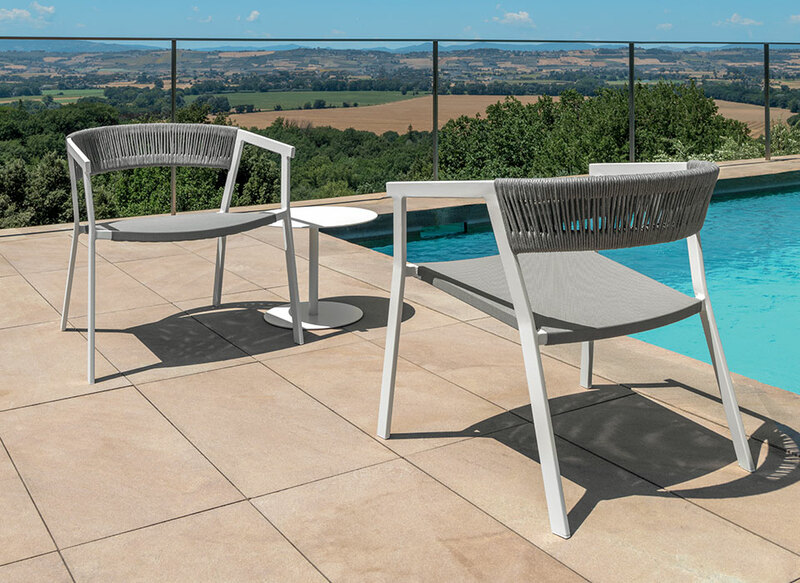 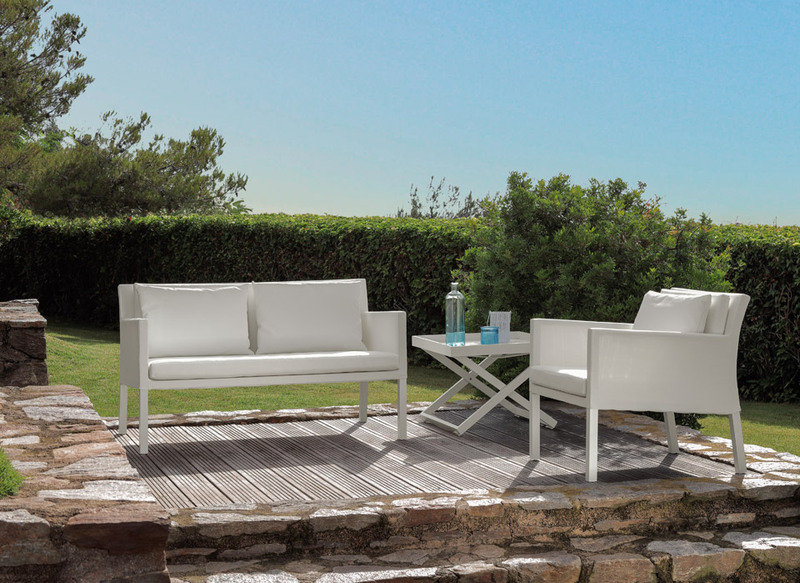 Different materials integrate in a perfect collection to enhance any outdoor space. 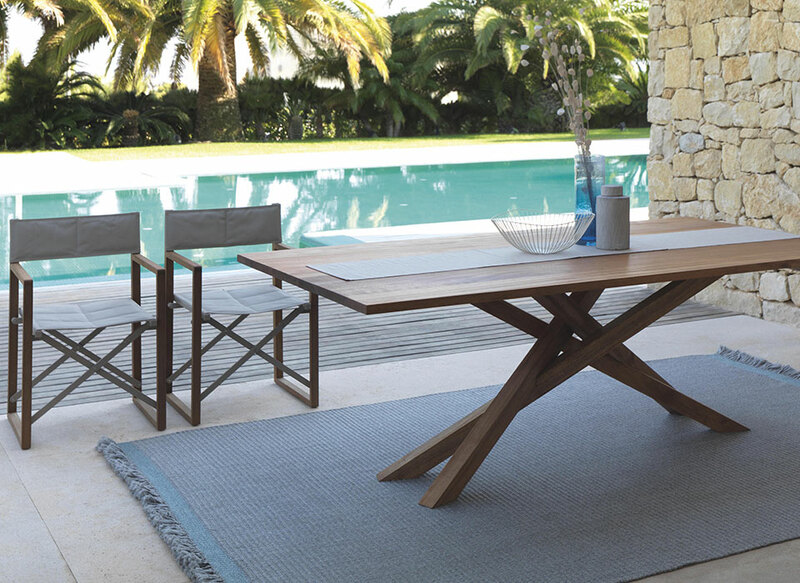 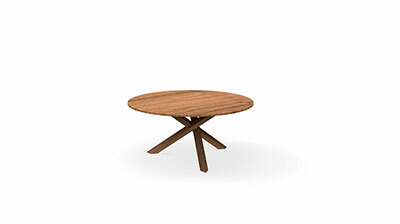 The Bridge tables are entirely made of wood and are able to combine their refined material with the simplicity of the seats with sinuous shapes, made of ABS and aluminium, or squared shapes, fabric or wood.